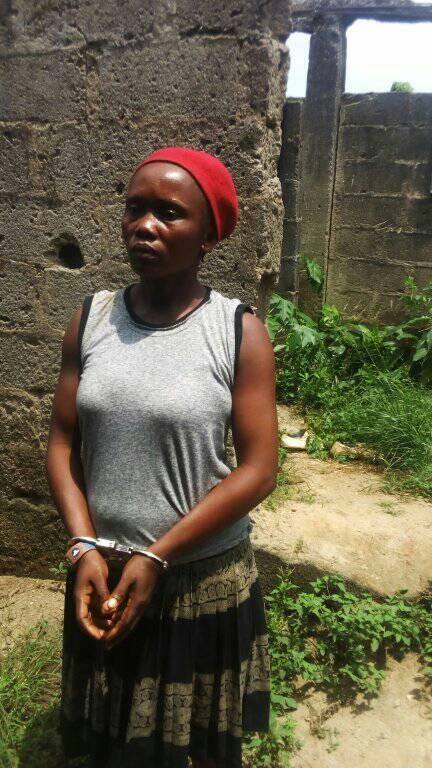 A woman has been arrested by officers of the Lagos police command for maltreating her ward. 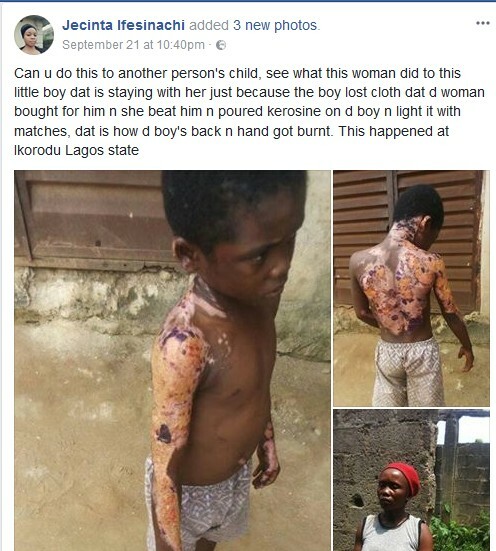 According to Jecinta Ifesinachi, the woman poured kerosene and set the little boy on fire for misplacing a cloth she bought for him…that’s after beating him brutally.The boy whose hand and back got burnt – was taken to the hospital for treatment and the woman taken into police custody. 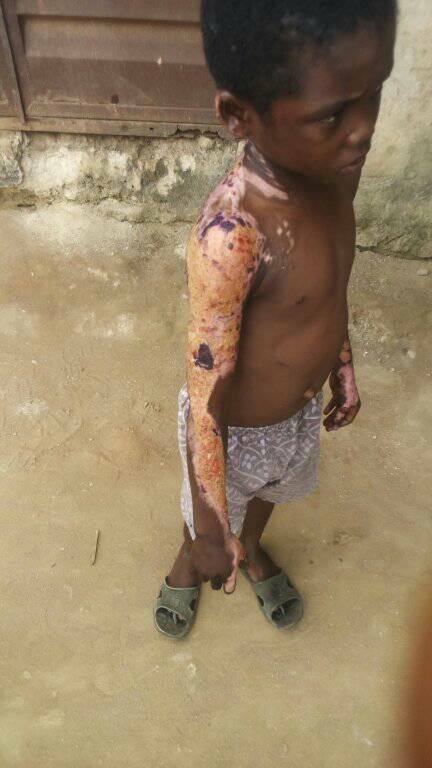 This shocking incident is said to have happened at Ikorodu area of Lagos state.